When you're from Manchester it's not possible to make music and not get influenced by bands from the "Madchester"-era like The Smiths and Oasis. British band City Reign can't escape this either. On their first full album they are even embracing their rich legacy. The quartet released an EP earlier on their own label Car Boot Records. These influences were already obvious at that time, but the EP recordings could have used some better production. For Another Step they worked together with a producer who took them to Salford's Sacred Trinity Church. This has been an excellent choice, even though it's clear the band likes to keep things in their own hands. The production is more than right this time. The different parts sound clear and nicely balanced. There was no attempt to brush it up needlessly and erase all imperfections. It sounds like a nice guitar record with the pleasant, somewhat nasal voice of Chris Bull. On their single 'Making Plans' you can clearly hear the band is capable of writing compact songs with catchy guitars, powerful drums and playful harmonies. The record is full of these kind of typical Britpop songs. Once and a while we can also hear a melancholic song like 'The Line', that reminds of REM. 'Retaliate' is a bit of a stranger, a quiet and sensitive song, completed with strings. But it doesn't feel out of place at all and only shows the band has more to offer. After that they take it up a few notches with 'See What It's Worth' and 'Stay Where You Are', and show not to be afraid of using big gestures. They are moving close to their illustrious fellow citizens Oasis here, without trying to be a direct copy. 'Anyway, Anywhere' finally is the worthy closer with a genuine explosion of guitars and drums. Most striking is how much heart and joy you can hear in their music. This "Madchester"-worthy record is the result of years of hard work, playing small rooms and moulding their songs and sound. They already played a few times in Amsterdam, the last time at the small and intimate Winston Kingdom. With this album the bigger venues should get into reach. 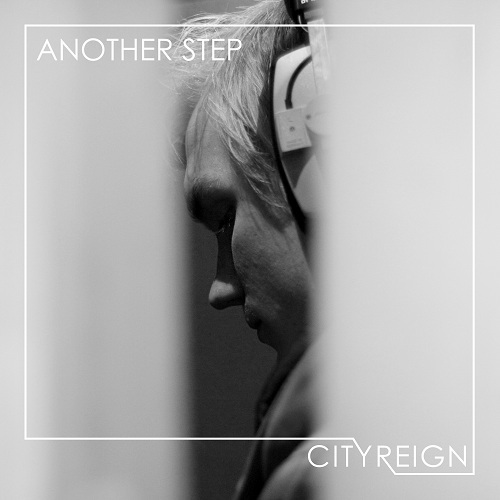 It is not just another step, but City Reign are taking a giant leap here. Listen to Another Step on Spotify.